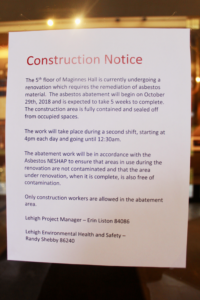 The asbestos removal on the fifth floor of Maginnes Hall presents no health risks to students or faculty. Brent Stringfellow, the associate vice president for Facilities Services, Campus Planning and Projects and the university architect, said all asbestos waste is being handled and disposed of according to federal, state and local regulations. 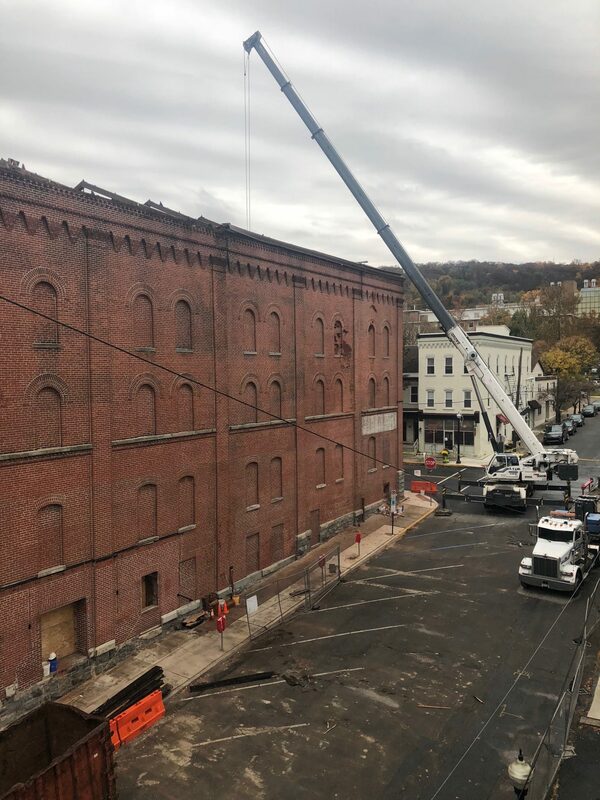 Stringfellow said Lehigh also hires contractors that strictly follow the guidelines established by the Occupational Safety and Health Administration and the Environmental Protection Agency. John Savage, an associate professor of history, has an office on the second floor in Maginnes. He said construction to remove the asbestos is loud and he can feel the building shake at times. No classes have been moved thus far, though some faculty members have moved office hours to alternate locations. Norrin Ripsman, a professor of international relations, said he has moved his office hours from his regular office in Maginnes to a location in STEPS temporarily. He suggested the work could have been done when Lehigh students were on break. Arman Grigoryan, an assistant professor of international relations who also has an office in Maginnes, agreed with Ripsman. He said it would have been helpful if faculty members had been informed of the work further in advance. 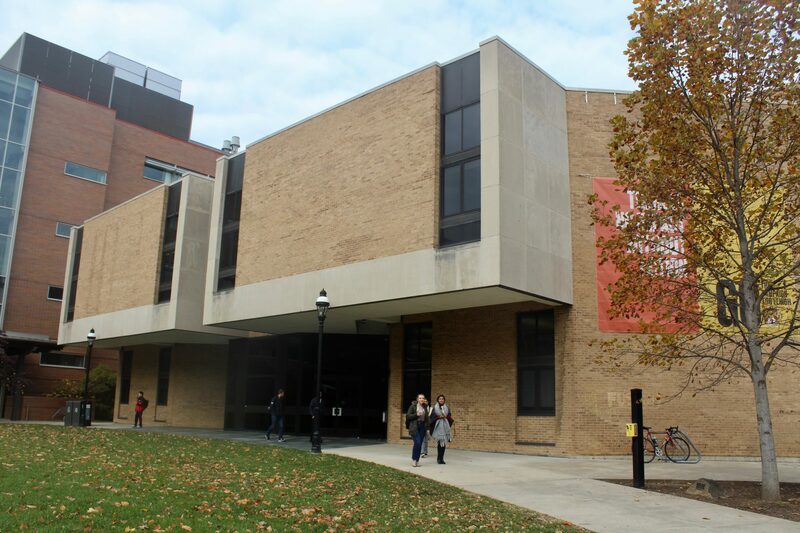 According to Facilities Services, Maginnes Hall was constructed in 1970. Stringfellow said this was a time in which asbestos was commonly used as a construction and insulation material. Since then, the United States has placed guidelines and restrictions on it after it was discovered that asbestos was a health hazard and potentially carcinogenic. Stringfellow said Lehigh is taking extra precautions when handling the removal. “It is important to note that asbestos typically poses no danger unless it is disturbed, however, the university has used these opportunities to remove asbestos safely,” Stringfellow said. Lehigh has also hired a third-party inspector to sample air at the abatement site as an additional precaution. Asbestos becomes the most dangerous and pervasive when it is breathed in, and air quality checks inform the workers of any such risk. Chandler-Ullmann Hall is also experiencing a similar asbestos problem, said Stringfellow, and Lehigh is working to eliminate this health risk.